Is art worth dying for? 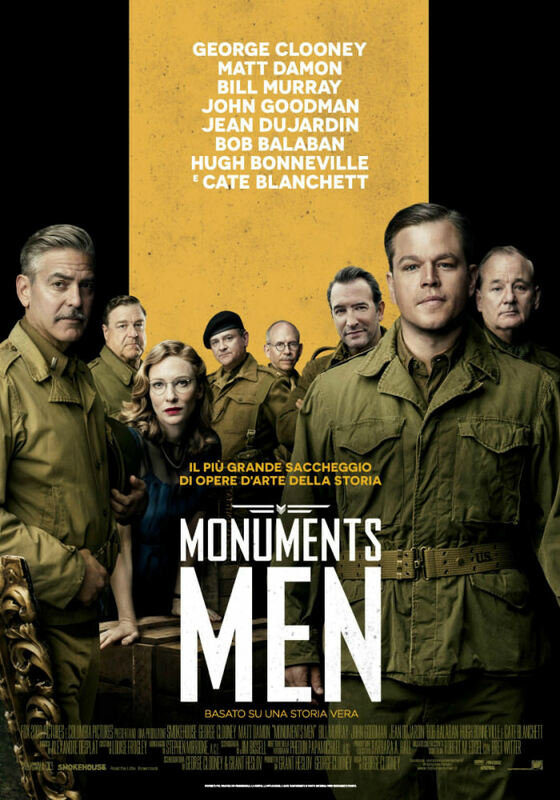 That is the question played out on the big screen in “Monuments Men” staring and directed by George Clooney. Clooney plays, Stokes, an American officer in WWII Europe who is tasked with hunting down stolen masterpieces hidden by Hitler’s troops. Stokes recruits his fellow art experts to help in the search including his close friend Granger(Matt Damon); the odd couple of Campbell (Bill Murray) and Savitz (Bob Balaban); the devoted Garfield (John Goodman); an Englishman (Hugh Bonneville) and a Frenchman (Jean Dujardin). The movie is at times stunning to watch as WWII Europe is re-created digitally for the audience to explore. It also provides a window into the ruthless plundering that took place as Hitler attempted to steal the culture and history of the conquered nations. The storyline and pace of the film were spot on, however, I found myself searching for the masterpiece that this film could have been if the characters were more fully developed. Clooney did a compelling job of explaining why art is worth dying for, but the film fell short in revealing why this group would be willing to die for each other. There were some amazing performances by this team – in particular an unforgettable sequence perfectly edited and timed – but the heart and camaraderie that makes these types of films special never fully materialized. The film is well worth seeing, but just short of the masterpiece it could have been. Chip Bragg is a veteran of the Hollywood scene and is currently a Life Group Leader in the High School Ministry at Saddleback Church. He is Josh’s favorite volunteer, and has no idea that Josh typed this extra line into his bio.